There have been much research on the harmful effects of smoking and plenty of statistics are available about the same, yet many continue to smoke, despite campaigns, awareness programs, etc. Though people know that it is harmful, yet they continue to smoke. This seems to be the general norm with all kinds of harmful habits. We know that they are not good for us, yet we continue. At times, despite possessing knowledge about the ill-effects, people come up with different reasons to justify these harmful habits. This is the reality we see in our society. The same is true of sins. 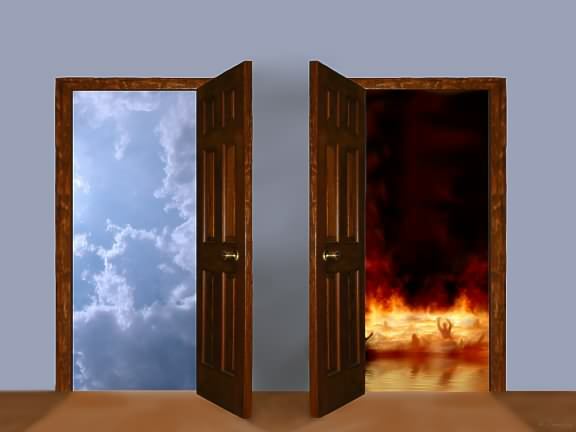 People have the ability to distinguish between good and evil. As Christians, we know that sin is a serious thing. St. Paul says ‘the wages of sin is death’ (Rom 6:23). Sin alienates us from ourselves, from others and from God. Sin is neither good for our life here or hereafter. Though we know this truth for sure, we still continue to turn a blind eye towards our sinful habits and tendencies in life. This is precisely why, Jesus questions us in today’s gospel passage: ‘Why do you not judge for yourselves what is right?’ (Lk 12:57). In spite of the right knowledge we possess, we fail to make the right judgement or decision. This is partly because of the fact that sin enslaves (Rom 7:23). Unfortunately, we discover this truth often very late. When we commit sin, we become slaves to it (Jn 8:34). That is why people have a hard time trying to break away from sinful habits. St. Paul mirrors the same sentiments in the first reading and calls himself a miserable man. May be I find myself miserable, struggling to break away from sins and to lead a holy life or I find it hard to grow in virtue tied down by my past. Well, the good news is there is hope. We have a deliverer – a messiah. His name is Jesus. If He sets us free, we will really be free (Jn 8:36). Let us pause a little and ponder. Am I making the right judgements in my life? Am I enslaved by sin? Let us pray for the grace to make the right judgements and ask the Lord to really set us free.